Do you suffer from back pain? If you answered yes, you are not alone. It’s been estimated that half of all working Americans admit to having back pain each year. Back pain symptoms could include, muscle aches, shooting or stabbing pains, or limited flexibility. Back pain can affect anyone, it is not limited to people over thirty years old. In America there are over 26 million people between the ages of 20-64 who suffer chronic back pain and discomfort. It affects a wide variety of people because of the complexity of the back. Your back is made up of joints, bones, muscles, discs, ligaments, and tendons. When one of these complex components are not aligned properly it usually results in back pain. Any number of things could lead to back pain including but not limited to: a strained muscle, irritated joints, a ruptured disc or an old injury. Back pain can keep you from doing all the things you want to do. Even doing minimal everyday tasks could result in a great deal of pain. Most people that suffer from back pain experience severe pain while doing small movements such as bending, twisting, or lifting. Back pain could get in the way of certain activities like stretching, exercising, sleeping, and having proper posture. Back pain can even be prevent you from working. Back pain is cited as one of the leading reasons people miss work. Don’t let your back pain control your life! increase a tolerance to the medication. This leads to the need for higher doses and/or more powerful pain medications. We need to also mention that pain medications deal with the pain itself but not the underlying issues that cause back pain. The fact is: chiropractors can treat your back pain without pain medication or surgery. Join the millions of Americans that prefer a chiropractor’s natural drug-free approach to back pain treatment. Chiropractors use hands-on techniques to align your spine which will help your body to heal naturally. Spinal manipulation is used to restore mobility in your joints. No more stiffness! All treatments will be customized for your body and your needs, taking into consideration your medical history. Adjustments involve the chiropractic doctor using expert manipulation of the joints to improve range and quality of motion in one’s back. Chiropractic care is both safe and effective. Contact your chiropractor today! What if I said you could do away with your daily lower back pain, improve your mental focus, lose weight and build endurance in just five minutes a day? Then, imagine I told you could do it all from your living room for less than $50. How is that possible? Well, let me introduce you to modern kettlebell training and, more specifically, the kettlebell swing. The kettlebell has been around for hundreds of years but is now enjoying a revival in popularity, likely due to the fact that nothing can offer the same level of training diversity and simplicity. They are compact, portable and nearly indestructible. Plus, you can get a full body workout in just minutes. What’s not to love? Need a quick lunchtime workout? Want to do away with two-hour sessions at your big-box gym spent waiting for machines and treadmills to open up? Grab an outdoor workout on a beautiful spring day? Grab a kettlebell and start swinging! The swing is a dynamic, explosive movement that allows you to work nearly every muscle in your body from your hands to your feet. It will directly target your glutes and lower back, allowing you to condition the biggest muscles in your body. Doing so will not only burn the most calories, but it will also strengthen your core and combat back pain. With a light weight and a lot of reps, you can work on endurance and cardiovascular conditioning. With more weight and fewer reps, you can build muscle and strength. No matter which option you go with, you will be guaranteed to develop muscle, burn fat and build endurance like you never thought possible. Best of all, you will get it done in just five minutes a day! First, you want to select a kettlebell that is the proper size. For swinging, you will need a kettlebell that challenges the largest muscle groups in your body. In the StrongFirst programming guidelines, a 35lb kettlebell is the minimum standard for women and 50lbs is minimum for men. This can be scaled back for beginners to 35lbs for men and 18lbs for women. Either way, pick a weight that is challenging. You only have five minutes, and you want to get a challenging full body workout in. To start the swing, begin with the kettlebell one to two feet in front of your toes. Reach forward and grip the handle firmly. The kettlebell should be far enough in front of you that when you grab it, the kettlebell angles about 45 degrees back. Be sure to grip the handle tight. Now, hike the kettlebell between your legs like a football. As the kettlebell travels back between your legs, exhale forcefully, then snap your hips and glute forward, propelling the kettlebell upward. There should be minimal arm contribution. Keep your elbows tight to your body and do not let the kettlebell travel to chest height. As the kettlebell reaches its peak it should hover briefly between ascent and descent. Your body should be locked in and braced, like a vertical plank. As the kettlebell travels back down, grab a quick inhalation and get ready to repeat. That’s it! That is your swing. Super simple, but always a work in progress. Make each rep perfect and stop when your technique begins to fail. You’ve probably heard a lot about osteoporosis in your lifetime, from warnings to drink your milk in elementary school to being lectured by your doctor as an adult. Here in the Chattanooga area, we take osteoporosis seriously—and not just general osteoporosis. It is possible to get osteoporosis in only one region of the body. Take the spine for example. How do you get it and what do you do to prevent it—or treat it? Not everyone with osteoporosis has it in every bone. In fact, many patients can have it just in the jaw, for example, or just the lower (lumbar) spine. And contrary to popular belief, women aren’t the only ones who can get it. Men are also susceptible. According to the National Institute of Health (NIH), the reason most men don’t consider themselves at risk for osteoporosis is that most women who get it, do so becuase of rapid bone loss after menopause. However, by age 65 or 70, men and women lose bone mass at the same rate. So don’t disregard this post if you’re a man–you can get it in your twilight years just as easily as women. But how does this this low bone density disease occur? Your Chattanooga, TN chiropractor will tell you that genetics play a large role. Most people who get osteoporosis are older Caucasian women with small body frames. Also according to the NIH , it’s not just about eating enough calcium and vitamin D, either. Osteoporosis is most common in certain demographics (older white women with small frames who have a family history of the disease)—which is something you can’t change. 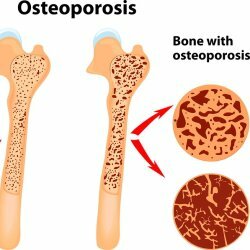 But other factors are involved, like low levels of estrogen and missed menstrual cycles; smoking; drinking alcohol; anorexia; lack of exercise; and low intake of calcium and vitamin D.
Since bone is a living tissue that replaces itself over time— your entire skeleton is replaced every 10 years—this makes bone density loss possible. When the body does not produce enough new bone, or too much existing bone is absorbed by the body, osteoporosis occurs. You do not feel osteoporosis happening, and usually only know you have it through a bone density scan or when a weakened bone fractures and you feel pain. Since you can’t feel osteoporosis happening, and since it’s such a slow process for anyone who does have it until they are past middle age (bone density loss occurs rapidly after menopause), you hear over and over again how important it is to drink your milk when you’re young. But when it comes to your spine, getting enough calcium and vitamin D isn’t the only thing you can do (and your Chattanooga, TN chiropractor will tell you that you can also get these vitamins through healthy foods like spinach and fish). 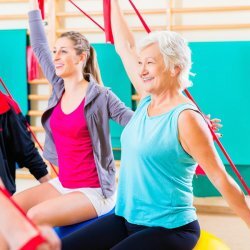 Weight-bearing exercise is key for preventing spinal osteoporosis. Spine-health.com tells us this means exercise that you perform while standing up and working the bones and muscles against gravity. This type of exercise actually increases bone density in the spine. They recommend 20-30 minutes of these exercises three or four times per week to be effective in preventing osteoporosis in the spine. Finally, in treating osteoporosis in the spine in Chattanooga, there are a few things you can do. You can take medications that stop the loss of bone density. And you can do exercises to strengthen your back muscles (thereby taking pressure off the vertebrae themselves) and learn new body mechanics. The National Osteoporosis Foundation tells us that if you bend backward or lean back instead of leaning forward, you will reduce stress on the front of the spine. You should also avoid heavy lifting and extreme twisting of your spine. 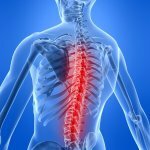 This is all in an effort to prevent fractures in the vertebrae, which is the painful part of osteoporosis of the spine. 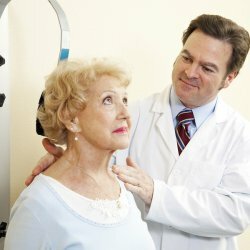 Have you ever been diagnosed with osteoporosis? So while your elementary school teachers and adult doctors in Chattanooga, TN were right about milk, that’s not the only thing you can do to keep osteoporosis from restricting your movement later in life. Keep up a good diet and exercise regularly. And remember to continue doing weight-bearing exercises into your old age. Have you or has anyone you love been diagnosed with osteoporosis in Chattanooga? What are they doing about it? Tell us your story in the comment box below! Chiropractic and Wrists: What’s the Deal? Between 4 and 10 million Americans currently have carpal tunnel syndrome, a malady that makes typing painful. It makes lots of things painful, actually, anything that you have to do with your wrists. There’s got to be a solution to this in chiropractic, right? Of course there is! Among chiropractors in Chattanooga, TN, you will find many willing to treat you for carpal tunnel. It may seem funny that a chiropractor—what many know as “back doctors”— can bring about healing to a wrist , but it’s true. Let’s find out how. Carpal tunnel syndrome, or CTS, is the name of pain associated with the median nerve, which runs from the forearm into the hand. 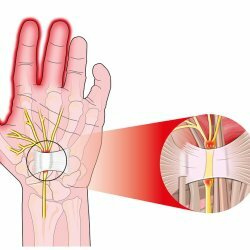 This nerve can become compressed in the carpal tunnel, which is the median nerve’s path through the wrist. Sufferers may feel pain, weakness, or numbness in the hand and wrist that radiates up the arm. They may also feel burning, itching, or tingling in the palm and some fingers. Their fingers may feel swollen even though it doesn’t look like there’s any swelling. CTS can arise out of many different causes. It could be from an injury to the wrist that causes swelling, problems with the wrist joint, poor work ergonomics (hence the pain when typing), even diseases like diabetes, hyperthyroidism, or an overactive pituitary gland. If any of these symptoms and causes sound familiar, you should find a chiropractor in Franklin, TN to get diagnosed and treated right away. Speaking of getting treated, what do doctors usually prescribe for CTS? The standard CTS treatment in Chattanooga, TN and anywhere involves some of the same things you might do for a sprain. For example, you’d start with raising the wrist above your heart to decrease blood flow (and thus inflammation). Apply ice packs to also decrease swelling/inflammation. Avoid doing those activities that contribute to the pain, and immobilize the wrist in a splint. These at-home methods can and will reduce the pain for a time. Patients can take anti-inflammatory medication—or if you want to stick to the homeopathic route, vitamin B6 has been known to help. Some patients get bad enough that they may need the CTS surgery , which means cutting the transverse carpal ligament to permanently remove pressure from the median nerve. Chiropractic, because of its homeopathic nature, seeks to avoid synthetic medications and surgery. As such, chiropractic treatment for carpal tunnel does not immediately jump to these solutions; instead, it takes more of a physical therapy approach. A chiropractor in Chattanooga, TN will practice joint manipulation on the wrist, meaning that he or she will run the wrist through its range of motion to increase mobility. They will also stretch the wrist, train you in strengthening exercises, do soft tissue mobilization techniques, and even suggest yoga as a safe practice for strengthening the wrist. They may recommend complementary techniques like acupuncture, which is currently being studied for its effectiveness in treating CTS. Before you head to the surgeon, try chiropractic for resolving CTS. If you have CTS, you most likely already know everything we discussed in this post. If not, now you’ve got the warning signs and a list of treatment options in your disease arsenal. And if you’re in the Franklin, TN area, you’ve got nothing to fear—chiropractors all over the city are at your disposal! What’s your CTS story? Have you been successfully treated for CTS by a chiropractor in Franklin, TN (or anywhere for that matter)? Or has your journey been long and now you’re facing surgery? We want to know all sides, so leave a comment now! No, we’re not talking about the new film Whiplash that won an Oscar this year. Instead, we want you to think about if you’ve ever been in a car accident and remember your head bouncing back against the headrest. Even though the headrest stopped the motion of your head, your neck still suffered from something called whiplash. Even if you’ve only ever been in an accident as minor as a fender bender, your neck still suffered the effects of whiplash. Why should you see a chiropractor in Chattanooga right after a car accident, no matter how minor? We’re glad you asked. Does any of this sound familiar? Has this happened to your neck? Most Chattanooga healthcare providers will tell you to immobilize your neck for two to three weeks in a medical collar and take painkillers, and then the pain will go away. But chiropractic has a different solution . If you have a Chattanooga, TN chiropractor, he will probably tell you a few things about whiplash. First he will do a thorough examination both of your medical history and of the injury site. His next step will most likely be to use spinal manipulation—gently moving the injured vertebra in the direction in which it has been restricted. Spinal manipulation is the most important part of whiplash treatment because it puts your spine back into its original alignment, allowing the injured muscles and ligaments relief from tension. Whiplash will push your cervical vertebrae out of alignment, pulling muscles and causing tension, leading to pain. After spinal manipulation, most chiropractors will recommend ultrasound and/or electric stimulation to stretch and soothe these inflamed muscles. Finally, he will direct you in a Chattanooga home stretching regimen to strengthen injured muscles, another sure way to recover more quickly. It is true that you will be in pain as a result of most whiplash injuries. But as this chiropractor’s blog explains , you can get whiplash at speeds as low as, or less than, 5 mph. In fact, a 10mph rear-end collision can exert as much as 9 Gs of force on your neck! The speed of the accident doesn’t correlate with how much injury your body sustains. Another interesting fact is that most whiplash pain doesn’t appear until 2 to 48 hours after the accident occurs. That means you can feel like you are fine after getting rear-ended at a stoplight, and then two days later feel mysterious soreness in your neck. If this occurs, do not ignore it! Whiplash left untreated will turn into a long-term condition. You should see your Chattanooga, TN chiropractor within a few days of your accident, whether you feel pain or not. Have you ever been treated for whiplash? If you’ve ever been in a car accident in the Chattanooga area but have never sought chiropractic treatment, and have mysterious neck pain, it is most likely you are dealing with the long-term condition whiplash can lead to. Seeking out a chiropractor can only help, whether you were in an accident last week or last year. Have you ever been treated for whiplash? Did you see a chiropractor or just take painkillers? We want to know your whiplash story! Leave us a comment in the box below, and we’ll answer right away. A revolutionary new technology is now available in Chattanooga brought to you by True Weight Loss Solutions. Many of us have previously tried and failed… research now shows that weight gain is often due to factors outside of our control such as: hormonal imbalance, metabolism, genetics, appetite, fat burning and fat storage. The technology to identify and correct this is now available. Learn how you can lose 20-45lbs in 40 days guaranteed!!! Call 423-457-9005 or 423-658-1187 To Reserve Your Seat Today! Have you ever heard of a holistic pain clinic? Maybe just a pain clinic? Ever wondered what they are? If you’re in the Chattanooga, TN area, you’re in luck because we have several to choose from. A pain clinic is good for seeing a Chattanooga, TN chiropractor as well as a host of other holistic doctors—massage therapists, acupuncturists, sometimes even physical therapists. Before we jump into the logistics of a holistic pain clinic, it’s important to understand holistic medicine itself. When you go see your general practitioner in Chattanooga, he or she usually takes your vitals and makes a diagnosis based on your symptoms. Their treatments are usually limited to prescribing medication and referring you to specialists, maybe taking an x-ray or ultrasound. Holistic pain takes an entirely different approach. Holistic pain looks at the entire body, no matter your ailment, and the root cause of it. And it’s not just about the body—holistic medicine takes into account the mind and emotions as well. Why? Because it’s all about balance. 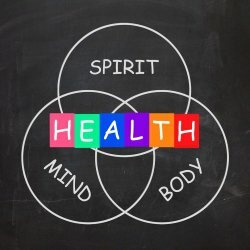 If a holistic doctor can show you how to achieve physical balance naturally—whether through massage, chiropractic, acupuncture, etc.—then they can also recommend therapies that will help you achieve balance in your mind and emotions, such as homeopathic medicines, home exercises, yoga, and so on. Find out more about the holistic medicine philosophy at WebMD . What happens at a holistic pain clinic? A holistic pain clinic is an interesting place. You know how when you go to your doctor, that is the only practice you see? In a holistic pain clinic, there are several different types of doctors and therapies available in the same office. And these professionals coordinate your treatment so that they can agree on the best solution to your problem. In Chattanooga, TN for example, a holistic pain clinic might include a chiropractor, a massage therapist, and licensed assistants who can apply muscle relaxing techniques like electric stimulation. You might find that these professionals recommend treatments that don’t require chemicals or medication, like aromatherapy and acupuncture. For a list of 8 common holistic treatments, check out this Everyday Health post . In some holistic pain clinics, you will see a chiropractor with a physical therapist, an acupuncturist, and a massage therapist. Sometimes you will only see a chiropractor working with a massage therapist. But the bottom line is that these practitioners are there to help you achieve freedom from pain by treating the root cause without medication. Physical therapy , for example, activates your muscles so that lame muscles don’t lie on nerves and pinch them. You already know that chiropractic strives to align the spine, thereby freeing the spinal cord to communicate more freely with the rest of the body, and massage therapy complements this by rubbing out muscle knots that pinch nerves. Ultrasound and electric stimulation relax muscles so they stop pinching nerves. Cold laser therapy is thought to stimulate healing in damaged tissue. So you see, all these holistic treatments combine to bring you freedom from pain without surgery or chemical-laced drugs. Do you go to a holistic pain clinic? A chiropractor in Chattanooga, TN will likely have at least some of these holistic treatments and professionals on hand. The benefits of more than one type of therapy for pain management just can’t be denied. So if you’re in the Chattanooga area, don’t be shy about finding holistic treatment . Have you ever received treatment at a holistic pain clinic? Tell us about it! Leave a comment in the box below and we’ll respond right away. Do You Stop to Stretch Your Back? Rather than stopping to smell the roses at the beginning of this new year (even though Chattanooga is a great place for that! ), why not stop to stretch your back? More specifically, do a full back stretch? The full back stretch is often part of a yoga set or chiropractic pain relief routine. Since you’re probably trying to achieve a “new year, new you” right now, throw in the full back stretch to maintain a healthy spine. There are many stretches and poses you can strike that stretch the back. But when it comes to maintaining your core, your flexibility, and preventing back pain, well, the full back stretch covers it all. If you live in the Chattanooga area, you probably know that many yoga studios are waiting for you to come in. Well, take advantage of them and go on in to learn the full back stretch. Ask your Chattanooga chiropractor about it as well (or any chiropractor, really). He may be able show you how to do a version that utilizes standard gym equipment. No matter where you perform the full back stretch (at home, at the gym, at the yoga studio), just make sure you do it on a regular basis to reap the benefits. There are many variations on this stretch. We’ve found three for you to try at home: a yoga pose, a flexibility training stance, and an office version. For the yoga pose , lay face down on a yoga mat. Lay out your arms in front of you, resting them at a 90 degree angle at the elbows. Push up on your lower arms to thrust your upper body upward. Allow your tummy to sink into the mat as you look at the ceiling. Hold for 15 seconds once you feel a gentle pull in your back. For the flexibility stance , you’re going to do the opposite of the yoga pose. Lay on your back and bring your knees to your chest. Place your fingers under your knees and pull your legs in tighter for a more complete stretch. Roll back until right before your head touches the ground. Repeat this roll 10-15 times. We suggest you also use a yoga mat for this one to provide cushion for your spine during the roll. And for the office version , we’re giving you an easy stretch: simply lean forward from your office chair! Lean forward as far as you can, hugging your knees or touching your toes. Keep your head down and neck relaxed. Hold this position for 20 seconds. Walk back up your legs with your hands until you return to a natural seated position, and repeat three times. Finally, we talk about why it’s good to do this thing! Since this stretch is, well, a stretch, it’s not primarily about muscle building or toning. But that’s ok—it still functions to support the spine. According to Active.com , this stretch and others like it serve to build strength in the lower back muscles. The reason we endorse this stretch is because it triggers the muscular “girdle” surrounding your spine, supporting it so it can remain in its natural position. The full back stretch forces muscles and connective tissue to engage and hold the spine in place. Don’t want back pain to ruin your year? Do a full back stretch! Do you do a daily full back stretch? The full back stretch is where it’s at for keeping the spine in place. Whether you perform it in a Chattanooga yoga studio, at a Chattanooga gym, or even in a Chattanooga office, the full back stretch will help you keep that back from going out. Do you have a daily stretch routine to get your muscles ready for the day? Is the full back stretch part of it? Keep us informed about your journey to achieving a regular full back stretch in the comment box below. We’ll respond soon! Have you ever slipped your foot into the glove-like interior of a barefoot shoe? You have to place each toe in its individual casing, making your foot into a hand for just one weird moment. You might be surprised to hear that not all barefoot shoes are shaped like foot gloves, though. In fact, barefoot has another name: minimalist. Minimalist shoes aren’t shaped like feet—they just remove most of the padding we’re used to so that our feet can flex better while running. What, then, is all the buzz about? Let’s start with the basics: just what is this barefoot running phenomenon? A reporter from the Guardian tells us that barefoot running is nothing new, but only a section of the population were into it. When Chris McDougall published the book Born to Run , a study of barefoot runners in Kenya, it suddenly became a mainstream practice. The point of barefoot running is to change your jogging gait from hitting your heel first, to hitting the front of your foot first. The idea is that this is more efficient and prevents more injuries. Does running barefoot really do this? We’ll explore that in a minute. Nobody went completely barefoot, of course. There’s too much concrete in our country, too many dangers on the road. So companies developed shoes that could function like you don’t have anything on, yet still provide protection. Barefoot shoes range from transitional to full-on glove, so the term “minimalist” is used to cover all types. Transitional shoes look just like normal running shoes, but really have very thin soles so the ball of your foot hits before your heel. Examples include Nike’s Free , New Balance’s Minimus , and Adidas’s Adapt . Vibram is a shoe company famous for their foot glove construct, called, fittingly, the FiveFingers . If you’re brand new to barefoot running, start with a transitional shoe and work your way up to the FiveFingers. But keep in mind, says a shoe blogger , everybody is different, so you should focus on choosing a shoe that works best for your body, not what someone told you would work best. Now we come to the big question. Since Born to Run was published in 2009, have we been able to tell that barefoot running is actually good for us? And more to the point—for our backs? According to Stanford sports medicine physician Dr. Michael Fredericson , not necessarily. The only conclusive evidence they’ve found is that it more efficiently dissipates forces of stress to our joints in the spine and lower body. It hasn’t proven to prevent injury. Our shoe blogger suggests that if you really want to keep injury at bay, you should switch things up every week. Don’t go cold turkey barefoot—run barefoot some days and go with a regularly padded shoe other days. This will strengthen the muscles of your feet without putting too much strain on them. So what’s the verdict? 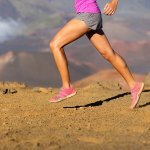 Barefoot running can reduce the impact of running to your joints, but it doesn’t necessarily prevent injuries. The choice is up to you. Do your own research, try on some shoes. To get you started, we’ve found a pros and cons list . And once you’ve decided whether or not to go minimalist, let us know about it! Leave a comment so our readers can hear how barefoot running works—or doesn’t work—for you. Are you already a barefoot runner? We’re curious—does your back feel better or worse? Our readers want to know, so leave a comment now!